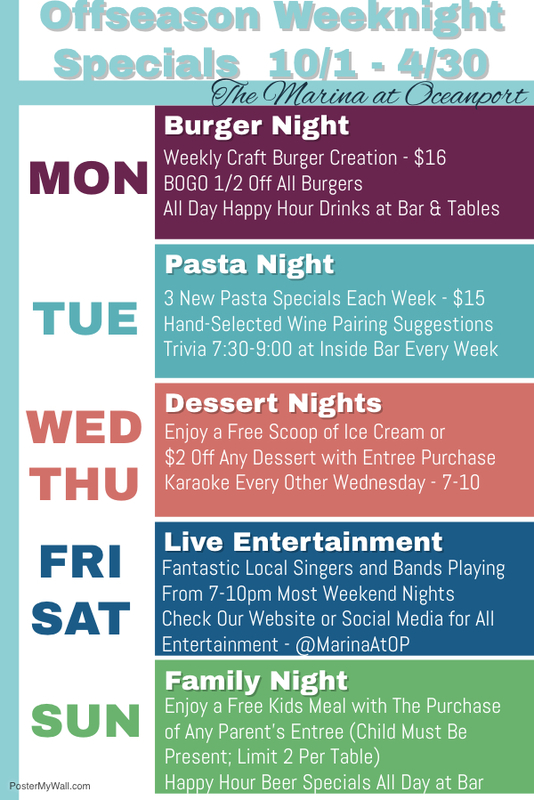 The Marina at Oceanport, Oceanport : Daily Specials! The Marina at Oceanport - Daily Specials! Any day is a great day to eat at The Marina at Oceanport! Wednesdays & Thursdays are extra sweet with a free ice cream or $2 off any dessert with an entrée purchase. Sundays are for families! Enjoy a free kid’s meal with the purchase of any sandwich or entrée.